Our charity has seven trustees whose names and brief biographies are shown below. Chris owns Atkinson-Pryce Books in Biggar and has done so since 2001, maintaining the bookshop as a thriving and profitable business as well as keeping it at the heart of Biggar’s vibrant arts community. She was involved in the recent project to re-house Biggar Museum in its award winning premises which included fund-raising in the community. Trish qualified as a social worker and worked in local authority, the voluntary sector - Barnardo’s - and government - Welsh Office Social Services Inspectorate. Since retiring and moving to Scotland she has given more time to community and has recently completed an M.Litt. in creative writing at Stirling University. Robin is a Director of Common Weal, a Scottish ‘think and do tank’ which campaigns for social and economic equality, participative democracy, environmental sustainability, wellbeing, quality of life, peace, justice and cooperation. He has worked for over 20 years in journalism, public affairs, political strategy and policy. He writes for a wide range of sources on Scottish politics. Susan worked for a specialist arts publishing firm before becoming an arts administrator at the Royal Academy in London. On moving to Scotland in 1988 Susan has been involved with a variety of community activities as well as work for the Church. Denham retired in 2011 after working for local authority in Community Development and Criminal Justice Social Work. He teaches music and is engaged with a number of community activities as well as work for the Church. James is a writer of fiction, a poet, editor and publisher. He writes in both English and Scots. Hugh MacDiarmid’s poetry and prose has had a seminal influence on his own work. 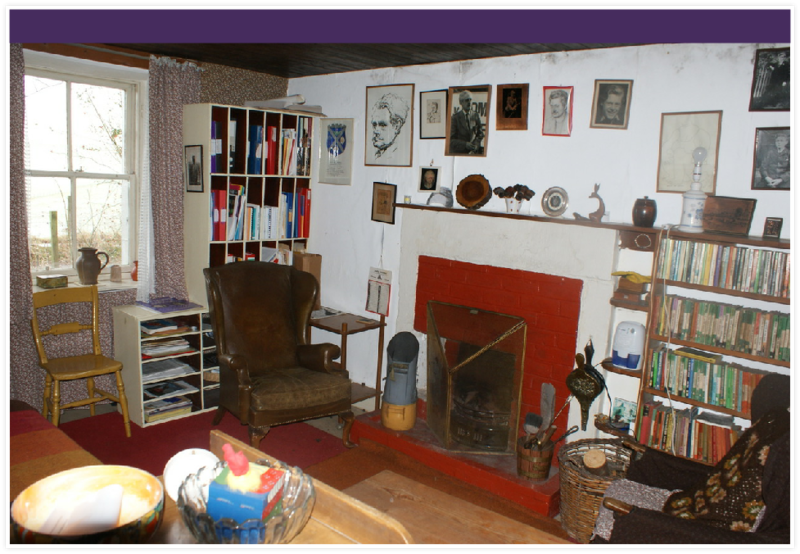 He was the first holder of the Brownsbank Fellowship (1993 - 1995) and lived at the cottage for those two years. His six novels to date include Joseph Knight (Scottish Arts Council Book of the Year and Saltire Society Book of the Year, 2003/04), The Testament of Gideon Mack (long-listed for the Man Booker Prize, 2006) and And the Land Lay Still (Saltire Society Book of the Year, 2010). He has also published several collections of short stories and poetry, and is a co-founder and general editor of, and contributing author to, Itchy Coo, an imprint specialising in books in Scots for children and young adults. Alan is the Professor of Scottish Literature at Glasgow University, Convener of the Saltire Society, Past President of the Association for Scottish Literary Studies, 2006-10 and General Editor of the Collected Works of Hugh MacDiarmid. Born Airdrie, Lanarkshire, 1957, BA Cambridge 1979, PhD Glasgow University 1986, worked in New Zealand at the University of Waikato 1986 - 2000. He is the author of numerous books and articles, including Hugh MacDiarmid’s Epic Poetry (1991), Representing Scotland in Literature, Popular Culture and Iconography and co-author with Alexander Moffat of Arts of Resistance: Poets, Portraits and Landscapes of Modern Scotland (2009), described by the Times Literary Supplement as ‘a landmark book, his fifth book of poems is Homecoming (2009). The Winter Book: New Poems was published in 2017. Ye needna fash gin it’s to be ocht else.